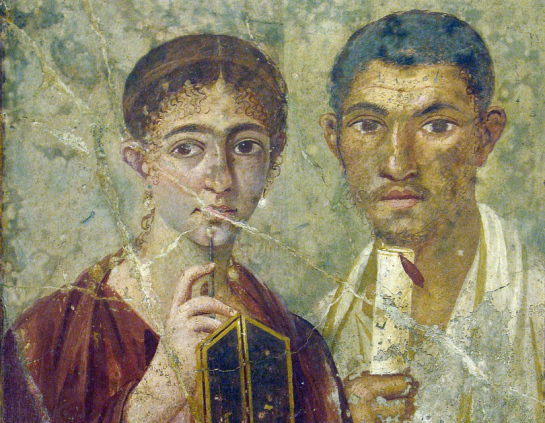 How did the Romans “publish” books? I hadn’t known this and I found it fascinating. I might be able to use this for a fantasy book in a low-tech setting. Writers spend a lot of time waiting. Waiting for a submission period to open, since stories sent before the editor is ready will be tossed out unread. Waiting for rejection slips (or acceptance letters) Waiting to get your contributor’s copy. Waiting to be paid. Waiting to hear if you’ve been nominated for an award, or (fingers crossed) if you’ve won. I’ve recently had three stories held for a second reading. One got a rejection slip, and I need to try to find a market it fits. One, “Vixen’s Song,” has been accepted for Fantasy for the Throne. And the third I am still waiting on and wondering if they will buy it or not. The reading period has ended, and the editor has said final decisions will be made soon and contracts will be sent out next month. There is nothing I can do to influence the editor’s decision, so the best thing to do whilst waiting and wondering is to go write something else. My children’s story “Tell Me My Story” has been published in Caterpillar, an Irish children’s magazine. My children’s story “The Narwhal” and my poem “Sir Tristan the Brave” have been accepted by the children’s magazine Wee Tales. I submitted them September 29, 2016 and they were accepted May 6, 2018, which is a definite example of writers needing to wait patiently. My WWII fantasy “Gremlins” has been published in Cat Tails: War Zone, a charity anthology. And as I said above, “Vixen’s Song” has been accepted for Fantasy for the Throne. My fantasy “As Prophesied of Old” in Alternative Truths was nominated for the Darrell Awards, but did not win. It wasn’t even a finalist. But it was nominated. I currently have five stories out. I normally have more out, but as busy as subbing has been, I’ve been falling behind on resubmitting stories elsewhere as soon as they’re rejected. That’s the important thing: once rejected, resubmit. Then go back to writing on your next project. A rejection slip is not a rejection of you as a writer or as a person. It’s a rejection of some paper you typed on (paraphrasing Martin Gardner here, or maybe George Scithers). A rejection slip just means that this particular story is not a good match for this particular market at this time. As explained in this essay by the late MZB, there are many reasons a story might receive a rejection slip. The editor may have just bought a similar story. It may be too long, or too short. You didn’t follow the submission guidelines, so the editor thinks if you can’t follow basic directions, you’ll be difficult to work with. (Read the submission guidelines and follow them!) The editor may have a toothache and reject everything because he’s in a bad mood. Your story may be garbage. Your story may have a kernel of quality to it, buried in ill-done words, and the editor doesn’t have time to help you polish it when somebody else’s story is ready to print as is. You may have sent it to the wrong market: don’t send a children’s fantasy to a hard SF magazine, nor a Regency romance to a hard-boiled detective anthology. Tape the rejection slip in your diary, or file it in your folder, resubmit it elsewhere until it sells (or you realize, yes, this story would benefit from a little editing and rewriting), and go write some more.